Ritec International and leading shower company Majestic have just celebrated 10 years of unique collaboration. 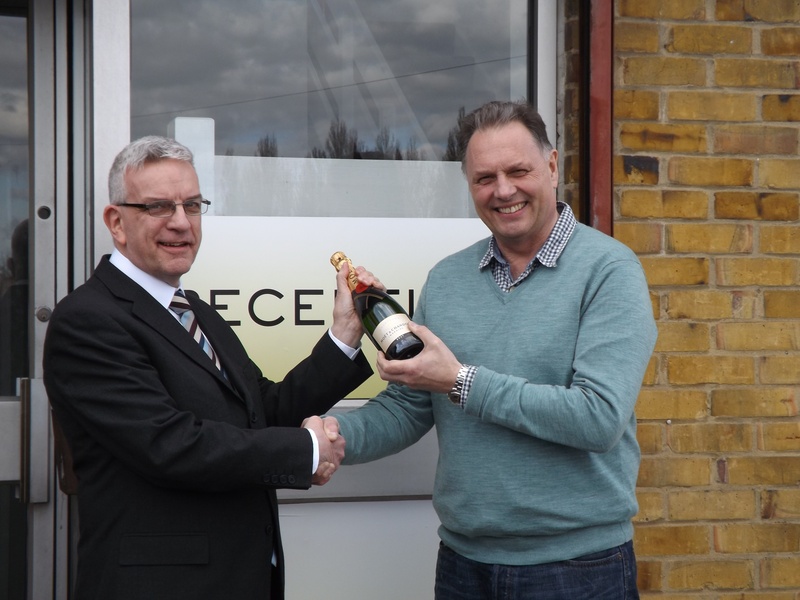 Derek Brown, Sales Manager for Ritec International came together with Majestic MD, Mike Thomsett for a day of celebration and champagne to commemorate the milestone partnership between the two iconic glass and shower brands. The collaboration has been an incredibly fruitful venture for both companies. Majestic have been able to protect the glass elements in their products throughout their lifetime by using Ritec’s Clearshield Eco-System™ on their shower screens. The Clearshield Eco-System™ treatment makes the glass easier to both clean and keep clean, allowing the glass to maintain its pristine appearance for as long as possible. It also helps to prevent bacteria growth to produce a cleaner and more hygienic environment. This has helped in achieving higher sales and happier customers for Majestic – allowing the company to continue to expand through excellence over the past decade. Likewise, the collaboration has allowed Ritec to have the honour of working alongside esteemed company Majestic, who can lay claim to working on some of London’s most prestigious buildings, such as The St Pancras Renaissance London Hotel, the Strata and The Shard.